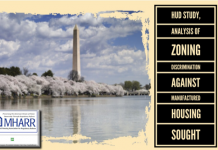 Washington, D.C., October 11, 2018 – The Manufactured Housing Association for Regulatory Reform (MHARR), in written comments filed with the U.S. Department of Housing and Urban Development (HUD) on October 11, 2018 (see, copy attached) has called on HUD to promote zoning and placement parity for federally-regulated manufactured homes as part of the Department’s plan to amend its regulations for Affirmatively Furthering Fair Housing (AFFH). 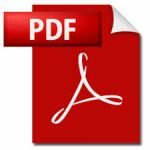 Noting that Secretary Carson and HUD itself have recently cited restrictive local zoning measures – including zoning mandates that discriminatorily exclude or restrict the placement of HUD-regulated manufactured homes – as a significant root cause underlying the lack of affordable housing in many areas of the United States, MHARR’s comments seek amendments to the AFFH regulations that would: (1) identify the discriminatory exclusion of HUD Code manufactured homes and/or manufactured home communities (or the discriminatory limitation of manufactured home placements in compatible residential areas) as an obstacle to fair housing that program participants must address as part of their AFFH compliance efforts; and (2) “encourage actions that increase housing choice,” by promoting changes to local zoning and land-use ordinances that would permit the siting of HUD Code manufactured homes in all compatible residential areas, as well as the development of new and/or expanded HUD Code manufactured housing communities in such compatible residential areas. 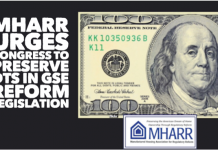 To ensure compliance with these amendments, MHARR urges HUD to expressly and specifically condition the receipt of grant (or other) funds on the elimination of discriminatory restrictions on the placement of HUD Code manufactured homes or — absent voluntary compliance by local jurisdictions — to federally preempt such discriminatory measures pursuant to the enhanced statutory preemption authority provided by Congress in the Manufactured Housing Improvement Act of 2000. Strong and effective action by HUD is absolutely essential to ensure that all Americans have access to the inherently affordable, non-subsidized homeownership offered by today’s federally-regulated manufactured homes. 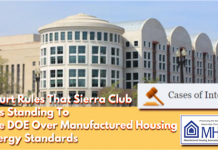 Although these homes are the best that the industry has ever produced, and represent an outstanding value that is intrinsically affordable for all Americans, including lower and moderate-income families, access to manufactured housing is being needlessly – and unlawfully – restricted by discriminatory zoning and placement restrictions that the industry’s post-production sector has been unable to effectively counter. 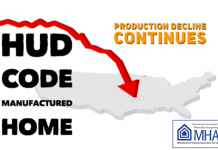 Given Congress’ specific grant of authority to HUD to override such discriminatory zoning measures, HUD’s amendments to AFFH should ensure full access to manufactured housing by every American everywhere in the United States. 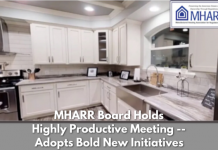 In addition to removing such discriminatory local barriers to affordable, non-subsidized manufactured housing, MHARR has also called on HUD – in meetings with Secretary Carson and Assistant Secretary Brian Montgomery – to take concrete steps to place manufactured home consumer financing, and most especially federal support for the 80% of the manufactured housing consumer financing market represented by personal property or “chattel” loans on par with other types of consumer home lending. 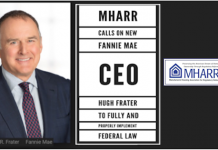 MHARR has thus urged HUD to support and encourage market-significant securitization and secondary market support by Fannie Mae and Freddie Mac for manufactured homes under the “Duty to Serve” provision of the Housing and Economic Recovery Act of 2008 (HERA) and has also urged HUD leadership to revive and expand manufactured home chattel loan support under the existing Federal Housing Administration (FHA) Title I manufactured housing program.